► Learn Latin American Spanish by Speaking for travelers and beginners, Learning Latin American Spanish could never be easier! 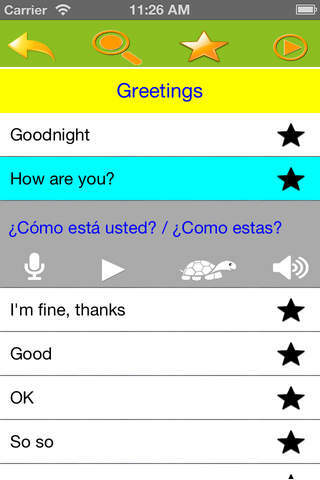 • Over 1000+ Common Phrase verbs, vocabularies and sentences with native Pronunciation. 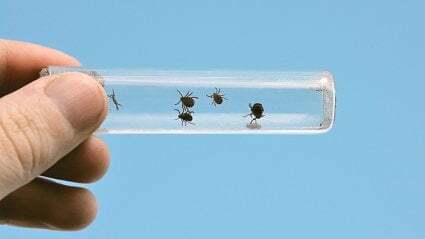 • Extremely useful and Easy to Use. • Many everyday subjects with carefully categorized. 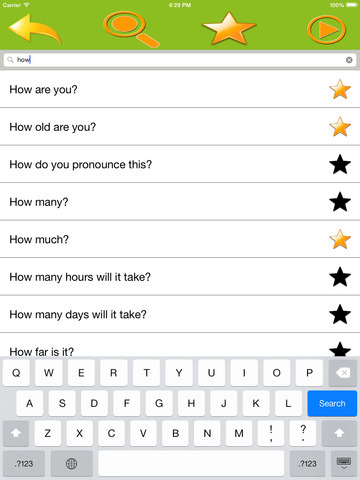 • Recored and Compare your pronunciation. 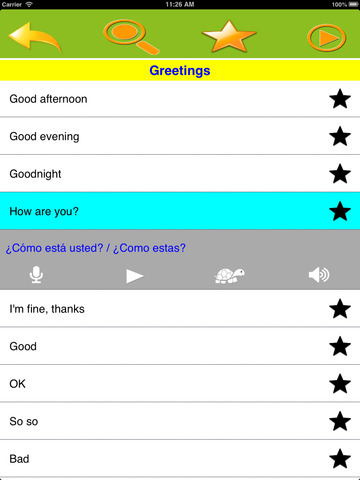 • Instant search for Phrases by English and Spanish. • Bookmark and manage your favorites. • No Internet connection required, use it anytime, anywhere. 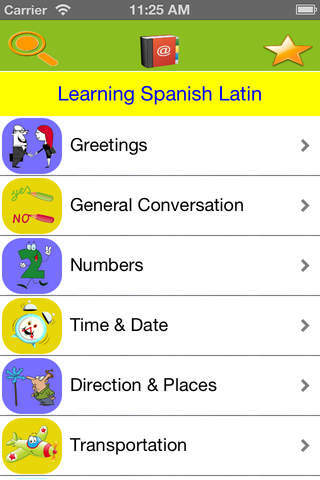 ► This app is a perfect travel companion when visiting Mexico or Latin America speaking countries and you don’t speak the language – and nobody understands yours.